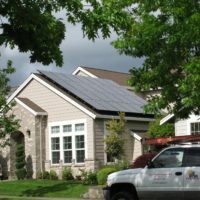 Energy Design is an electrical contracting company, specializing in the design and installation of solar energy systems. Vince McClellan, president of Energy Design, has over 35 years experience in the field of photovoltaic design and installation as an electrical contractor in Oregon, Hawaii & California. Vince founded Energy Design in 2004 after moving back to the mainland from Hawaii where he worked in the solar industry since 1982. As an Oregon solar contracting company, Energy Design has completed projects for utilities, universities, city governments, public schools, businesses and home owners. Our record of reliability and service has allowed us to thrive in an increasingly diverse contracting environment.